You Are Here: Home > 2019 INFINITI QX80 vs 2019 Range Rover | Which is Better? 2019 INFINITI QX80 vs 2019 Range Rover | Which is Better? Large luxury SUVs provide an unmatched automotive experience, built from sumptuous luxury, impressive power, and innovative technology. If you’re in the market for one of these exceptional vehicles, you’ve probably considered both the 2019 INFINITI QX80 and the 2019 Land Rover Range Rover. Here’s how these luxury giants stack up to one another. Both the INFINITI QX80 and Range Rover provide an outstanding ride, but the INFINITI simply has more power than the Land Rover. The QX80 is equipped with a V8 that gets 400 horses, paired with a seven-speed automatic transmission. You can choose between standard rear-wheel drive and available four-wheel drive. Regardless of your choice, you’ll be bowled away by the brisk acceleration of this massive machine. The towing capacity is 8,500 pounds when properly equipped. Although the Range Rover offers a choice of five engine options, most are underpowered compared to the INFINITI’s single powertrain. Selections include a 340-hp or 380-hp V6, a 254-hp turbodiesel, pricey high-performance models that get 518 and 557 horses, and a new-for-2019 plug-in hybrid. The Range Rover can tow about 7,700 pounds. Both vehicles are categorized as large SUVs, but the QX80 can seat up to eight passengers while the Range Rover tops out at five. If you’re king or queen of the carpool, go with the INFINITI. It’s also the best choice when it comes to cargo space, boasting more than 49 cubic feet behind the second row and more than 95 cubic feet with both rows folded flat. In comparison, the Range Rover has 71.7 cubic feet with the seats folded. Despite the fact that these luxury SUVs are comparably equipped, the Range Rover costs substantially more than the QX80. The INFINITI has a 2019 MSRP starting at $65,100, compared to a starting price of $88,860 for the Range Rover. Unless you need the latter’s legendary off-roading abilities, you can save a bundle with the QX80 without sacrificing style or amenities. In addition, the QX80 has one of the highest J.D. Power and Associates Predicted Reliability Survey scores (4.5) compared to a below-average score of 2.5 for the Range Rover. The INFINITI QX80 is covered by a four-year/60,000-mile warranty and a six-year/70,000-mile powertrain warranty and the Range Rover is covered by a four-year/50,000-mile warranty. 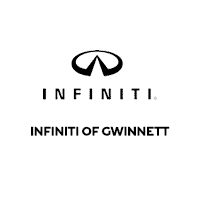 When you’re ready to experience the QX80 in person, visit us at INFINITI of Gwinnett for your test drive. Our friendly, knowledgeable sales staff is excited to show you all the features of this exceptional family vehicle.